All around the world, rightsholders connected to often lower-tier media are generating revenue from people alleged to have pirated their content online. The system is mostly uniform, with alleged infringers’ IP addresses gathered by the ‘copyright trolls’ and taken to court, in the hope that a judge will order ISPs to hand over their personal details. With this information in hand, copyright trolls demand a cash payment to make a supposed lawsuit go away. It’s important to note, however, that if rightsholders cannot force ISPs to hand over alleged infringers’ details, their entire project is dead in the water. That’s now the position in Denmark after copyright trolls’ greed prompted ISPs to dig in their heels and refuse to cooperate. After receiving demands to expose tens of thousands of their subscribers’ identities, ISP Telenor grew tired of the demands, with the company’s legal director framing the problem as a battle between the security of the public and law firms’ commercial interests. Telenor, with the assistance of rival ISP Telia, prepared a case to protect their customers. Last October, however, the District Court ruled against the ISPs, ordering them to provide identities of alleged pirates to the copyright trolls. Refusing to accept the setback, the providers took their case to the Østre Landsret, one of Denmark’s two High Courts. In May that effort paid off, with a resounding victory for the ISPs. The win meant that the personal details of individuals behind approximately 4,000 IP addresses targeted by troll outfit Copyright Collection Ltd (via law firm Njord Law) would remain private. The decision was met with dismay by the copyright trolls, who framed the defeat as a blow to those who invest in the Danish film and television industries. But the ruling by the Østre Landsret would not be the final roll of the dice if the Supreme Court decided to hear the matter. Hoping that would be the case, Njord Law filed an appeal. Unfortunately for the trolls, their hopes were shattered this week when the committee responsible for references to the Supreme Court said it would not be putting the case forward. As a result, the May 7th decision of the Østre Landsret will stand, with Telenor and Telia no longer required to cooperate with parties involved in trolling cases. Telenor Denmark’s Legal Director, Mette Eistrøm Krüger, welcomed the decision. “Both personally and on behalf of our customers, I am really glad that we are being strictly ruled by the National Court’s decision, and we once again find that logging data should only be handed over to the police to combat serious crime,” she told Version2. Krüger described the decision not to take the case to the Supreme Court has a victory for customers’ legal certainty, with citizens’ right to privacy trumping the copyright trolls’ commercial interests. 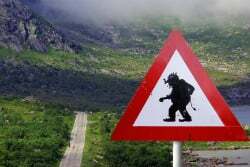 If disclosure is to be granted in future, online offenses will have to be shown to be serious enough to get the police involved, something that appears to rule out most copyright trolling efforts.